Bold, vivid, fast-drying Snazaroo Face Paints are all waterbased. This makes them as easy to remove as they are to apply. Simply wash with soap and warm water — no need for scrubbing or harsh removers! 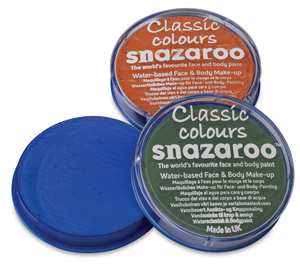 ™ Snazaroo is a trademark.